Look no further for septic tank emptying in York because Smith’s Sanitary has your back. Not many people give a lot of thought to their septic tanks, seeing as it is buried deep into the ground and you hardly get to see it until something goes wrong. Septic tanks take a lot, from your sink’s waste water to all the water used in the bathroom and other forms of waste. To say the least, the stuff inside this tank is not pretty. Usually, all this waste lands in there and separates itself depending on its nature. The heaviest material – sludge – goes to the bottom while the liquid-y stuff stays at the top and filters into the soil. This arrangement works well until a couple of years later when the tank will need pumping. Only the liquid part – gray water – leaves the tank. Sludge, being heavier and more solid, is removed regularly to prevent backing up. What Happens when you don’t Empty Your Tank? Sludge goes over the accepted level and prevents the effective absorption of the liquid part of your waste water into the soil. This immediately leads into a backed up drainage that will stink to high heavens, or in some cases, contaminate the underground water. Frequency for emptying will depend on the size of tank and number of users. Generally, it is recommended that you empty your septic tank at least after two years. Once a year is even better as it will save you the inevitable last-minute rush. The process is quite swift and non-messy if you use a professional and licensed company. Long pipes will be inserted into the tank to draw out all the waste and then take it away to leave your system clean as new and ready to go another year. Failure to empty your tank as required will lead to a blocked drainage system and unwanted health complications. We know how urgent de-sludging can be, and especially when the tank has been neglected for a while. We typically advise our clients to book an appointment in advance to enable us plan appropriately, but we do attend to urgent requests. It will post you a little more, but you will get relief from blocked drainage system. Smith’s is available 24 hours a day all week long to attend to septic emergencies. Most of our clients have contracts with us as they are regularly contacting us for septic tank services, and so the charges are reasonably low. Those without contracts are welcome as well for the same services. We charge a little more where there is no contract but we offer services just as good and timely. Having been in the field for over 50 years, we have not only trained and retained the best talent, but we have also positioned ourselves as industry leaders in the York, PA area. Our technicians undergo annual training and continuous education to keep them at the top of their game and in line with new technology. Times have changed and equipment used to empty septic tanks have changed as well. We have the latest technology to extract that sludge swiftly and without leaving a mess. We offer extensive services from installation of septic tanks to their repair and maintenance, and so we have equipment to handle all of these effectively. When you empty a septic tank, you diagnose issues that would have gone unnoticed and probably cost you thousands of dollars to fix. Call us today for septic tank emptying in York. 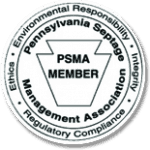 Need Septic Tank Emptying in York PA?